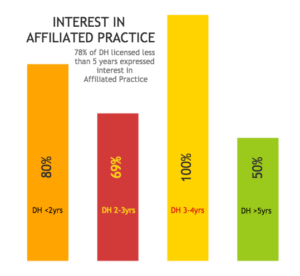 Membership in AzDHA is the way that YOU can take part in shaping how your profession will look in the coming years! 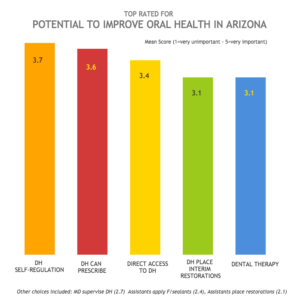 In order to solicit the opinions and ideas about policy changes needed to improve the oral health of Arizonans and dental hygiene practice, the Advocacy Committee conducted a survey from July 21 – August 7. 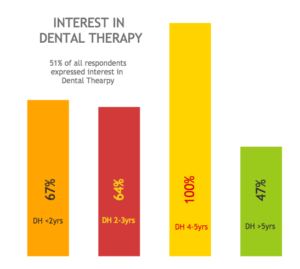 Although the response rate overall was only 14%, it was 28% for AzDHA members which gave us confidence we had a representative sample for a survey meant to provide insight. 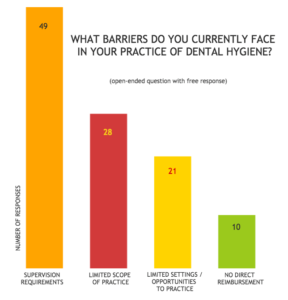 We learned that there was no significant difference between the responses of members and non-members and most importantly, many of our current efforts reflect the interests of dental hygienists in Arizona.